While clearing out the freezer, I found a few frozen packages of last year’s backyard rhubarb harvest. 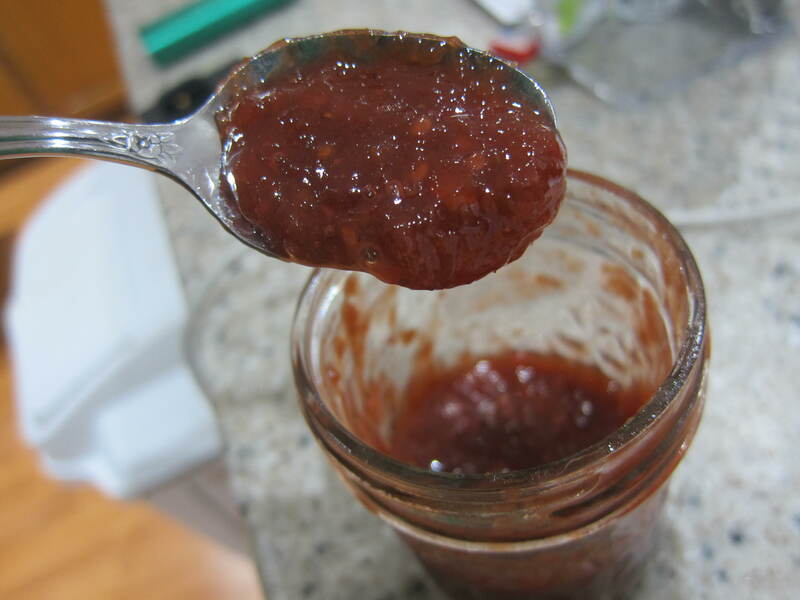 I love making jams – once you get down the basics, they’re so easy to make and preserve. I make jams hippie-style: toss fruit & sugar in a sauce pan, then simmer until it’s the consistency you want. That’s it. No added pectin or preservatives needed. Put everything in a sauce pan and simmer on low heat for about an hour, stirring occasionally. Since you’re cooking the raspberries, strawberries and rhubarb for awhile, there’s no need to dice the fruit very well. It will all break down eventually as it stays over heat. Once the mixture starts thickening a little, put a few drops on a plate and let it cool. 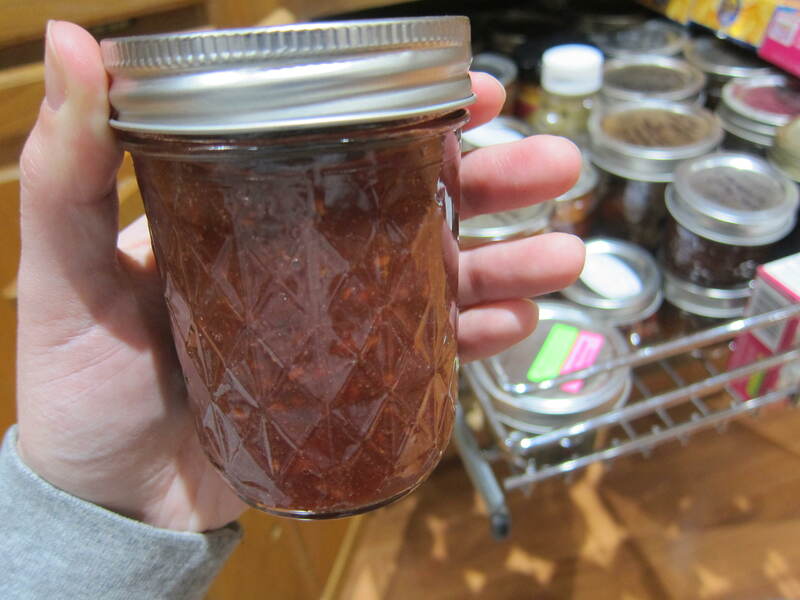 Once the sample drops are room temperature, check the consistency of the jam. If it’s a good texture, take the pan off heat. If it’s still runny, you can either stop simmering and call it pancake syrup, or continue simmering to cook off more moisture.